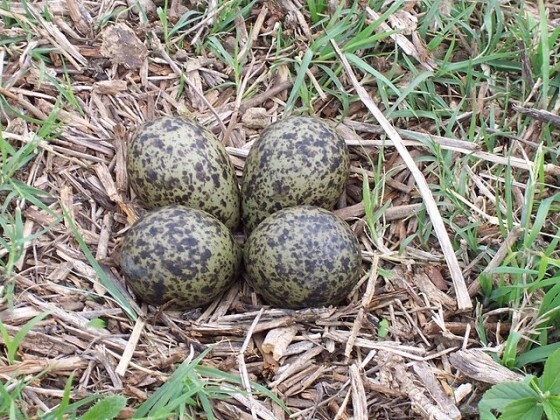 The mayor of a small Frisian district has infuriated cultural heritage campaigners by saying he will refuse to accept a lapwing egg. Every year, people in Friesland take part in the traditional lapwing egg hunt and the first eggs are always ceremonially presented to the mayors of towns and villages where they are found. However, Gerard van Klaveren, mayor of Weststellingwerf, says the local lapwing population is in trouble. ‘The figures speak for themselves and cannot be ignored,’ he says in his New Year speech. ‘I cannot close my eyes to the reality’. The local bird group Bond Friese Vogelwachten is furious at Van Klaveren’s refusal. ‘This undermines all our work on behalf of bird life and ignores a Frisian tradition which is older than the Elfstedentocht (skating race),’ chairman Rendert Algra said in a statement. The organisation argues that by finding the nests, its volunteers are able to better protect the young birds. The first eggs are usually found in early March and the hunt runs until April 1. Two years ago, the Council of State or supreme court rejected bird protection group protests about the annual egg hunt, saying lapwing numbers are not so low that a ban on the practice should be reintroduced. In total, 5,939 eggs can be collected, but each egg must be registered with the local authorities. Friesland is the only place in Europe where the eggs can be collected on cultural heritage grounds.